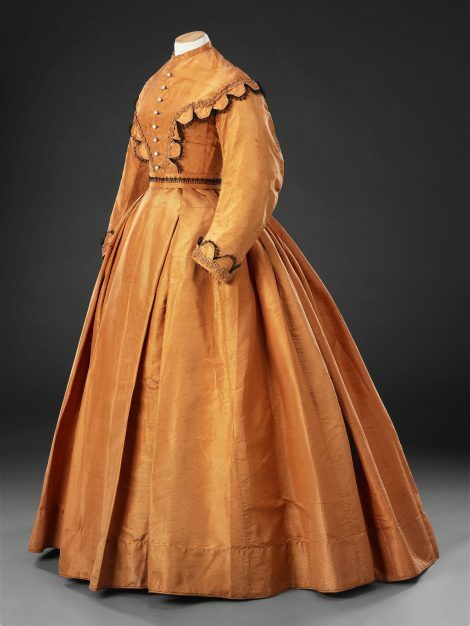 The maker of this three piece dress, comprising bodice, skirt and overskirt, did not employ the recently introduced sewing machine, constructing it instead completely by hand in a fairly rough and unsophisticated manner, evident in the interior which is lined in a workday linen (see Additional Images). 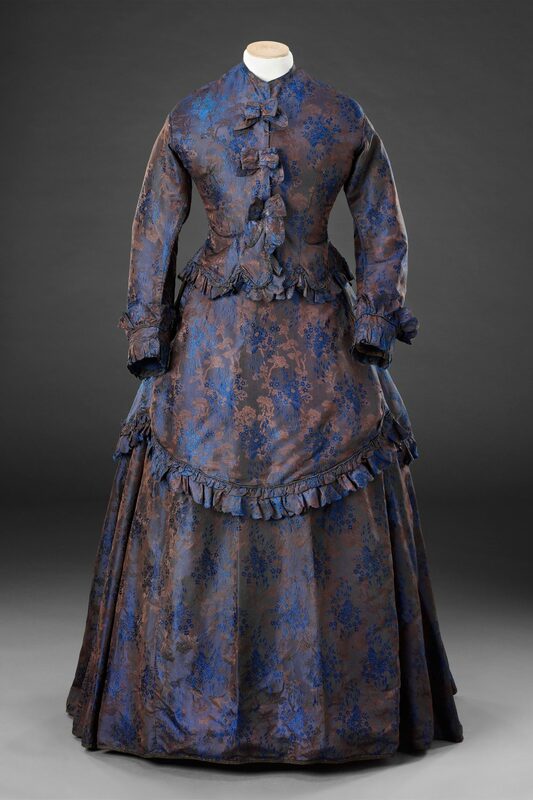 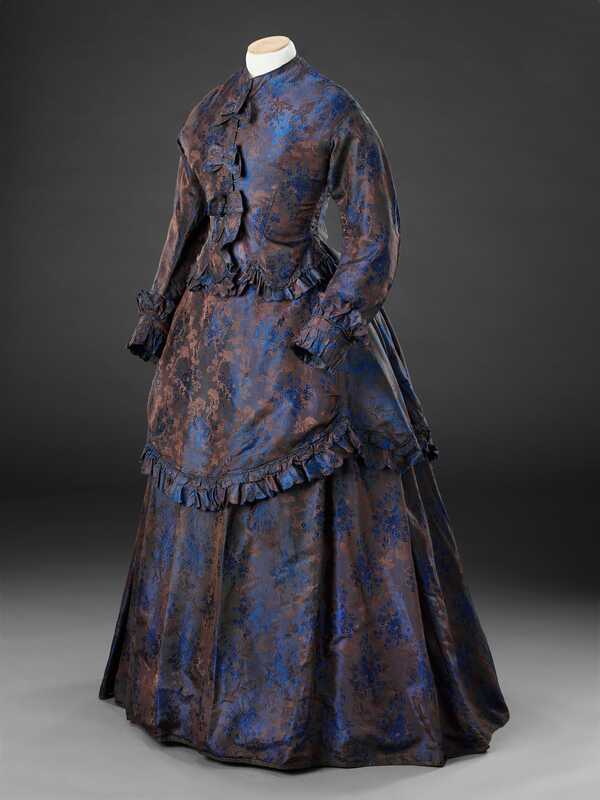 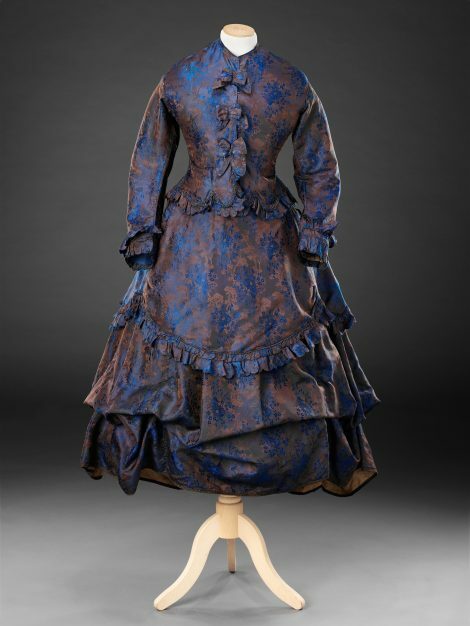 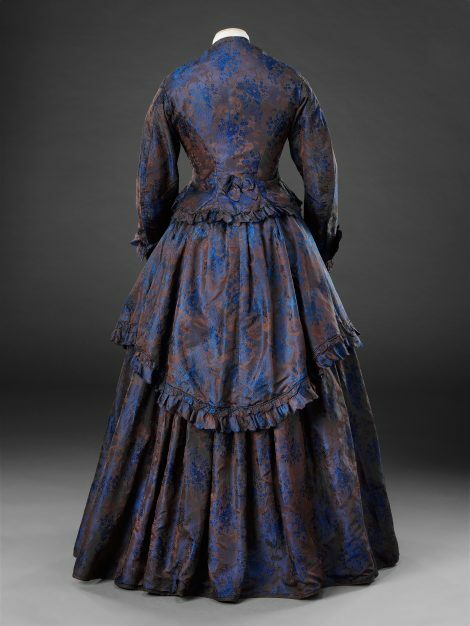 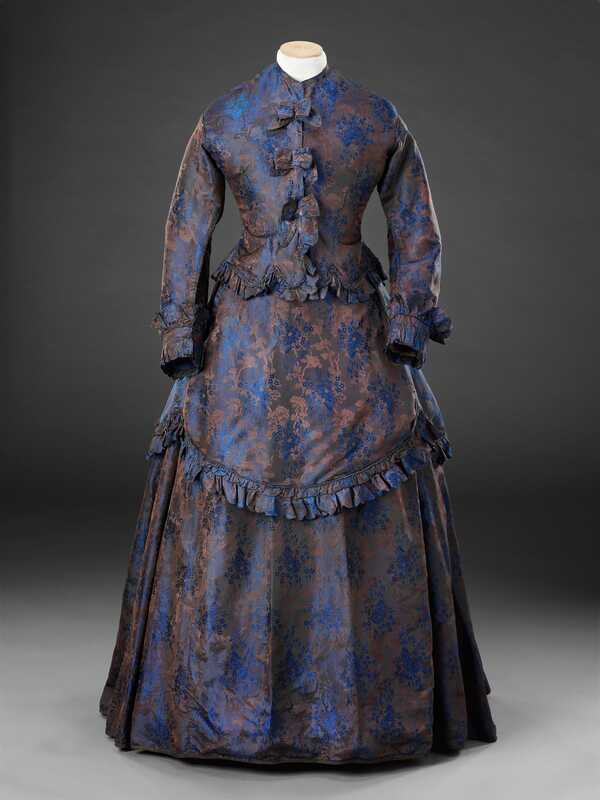 However the choice of silk, woven with blue and brown flowers on a blue/brown shot ground, and the carefully executed trimmings – pinked and scalloped frills and lined and bound bows – make this a garment of great charm and attractiveness. The lower part of the skirt’s lining has seven pairs of tapes attached to the seams, each pair tying together to lift the hem for walking. 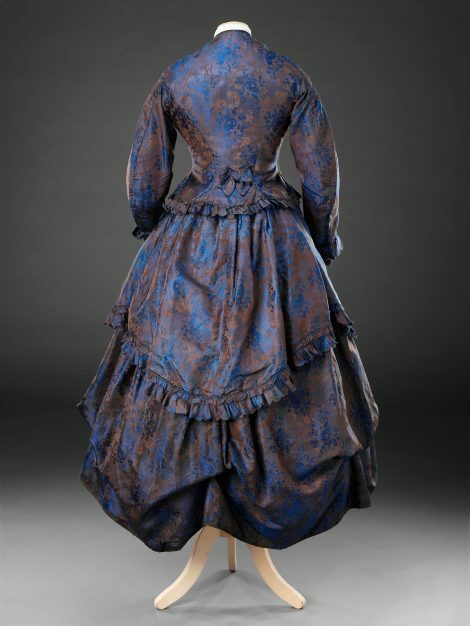 Not only did this free the feet, it prevented the skirt from becoming sullied with dirt, germs and infection, a major concern when hems swept dirty pavements. 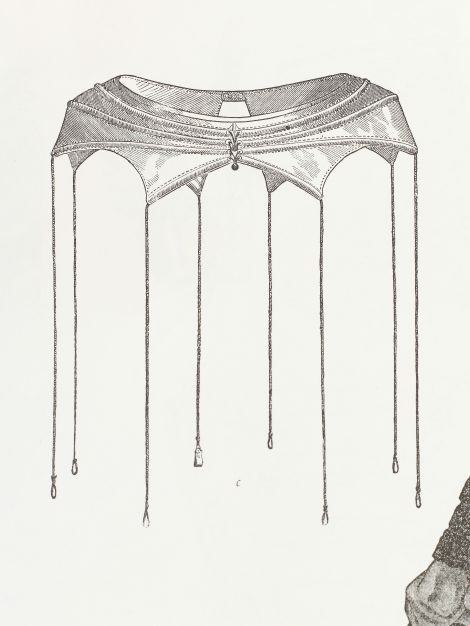 Two further methods of dealing with this problem can be seen in Additional Images: an illustration of ‘the Pompadour porte-jupe, or dress elevator’ from Godey’s Lady’s Book of 1864, and a later dress holder that held the skirt up with metal arms suspended from the waist by a cord. 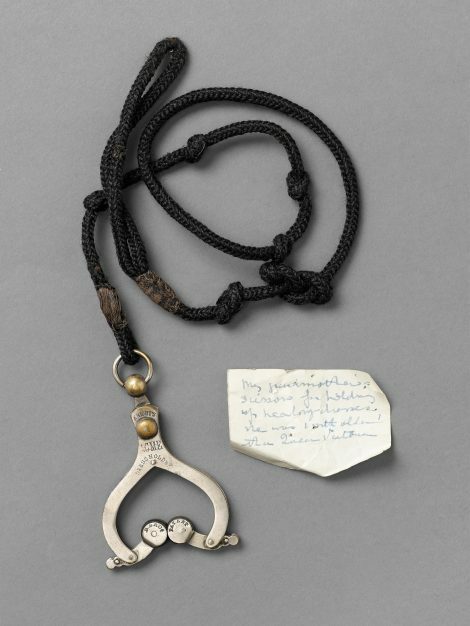 This example entered the John Bright Collection with the note ‘My grandmother’s scissors for holding up her long dress, she was one m[on]th older than Queen Victoria’.